At Kids Club we understand and embrace the fact that 83% of any one person’s learning is within the first five years of their life. 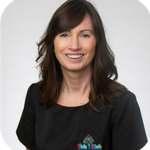 Chief executive officer Corie Stone has worked alongside with a handpicked team of key professionals to ensure that Kids Club offers the best education and care facility available. Kids Club Early Childhood Learning Centres have been established to ensure that all children and families receive the best quality care and education. We do this through our carefully selected professionals and our ever-changing philosophy. Corie has been involved in childcare for over 17 years in both Long Day Care and Before and After School Care, with significant and direct experience in all aspects of Long Day Care operations including site notification, development, construction, licensing process (council, DEC, ACECQA – and all other required approvals), operations and management, programming and HR. He is also a member of a number of industry bodies (both regulatory and private). Corie is primarily responsible for new business development and operations. 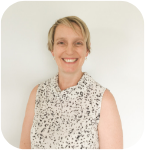 Sally has over 10 years of experience in the Early Childhood Education Industry and currently holds her Diploma in Children Services. With a strong passion for business and as a highly motivated member of the team, Sally prides herself on exceptional customer service and plays an integral role in ensuring that our parents and children receive the best experiences and attention they deserve by working with the team in designing and organising fun-filled events. Helen has over ten years of management experience and prides herself on customer service. She is passionate about educating and caring for children. Helen is an extremely motivated professional whose aim is to ensure our processes achieve a consistent high standard throughout all our centres. She works closely with the Kids Club Area Managers and Centre Directors to ensure best practice and quality education is being delivered to exceed the National Quality Standards. 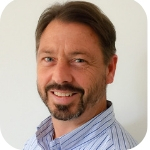 Scott has worked in the Finance and Accounting industry for over 20 years. He worked for 11 years in Switzerland in various positions with SITA as a Financial Controller and later in FP&A and the CFO office. 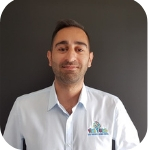 Following this, Scott moved his family back to Australia where he has worked as a consultant on various projects including financial modelling for childcare projects. Scott has been working with Kids Club to build our Financial Business model and to assist with obtaining development financing. 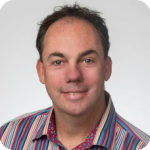 Scott has joined the senior leadership team to help Kids Club grow our premium early childhood learning service along the eastern seaboard of Australia. Jennie has 27 years of experience both in child care and in all aspects of human resources relating to child care. 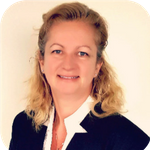 She has undertaken extensive training in a range of relevant workplace areas of employment and will be a great support to the whole team. Jennie is striving to maintain a friendly and rewarding workplace culture at Kids Club for the benefit of all members of the team. Shelli Hanson has been in the early childhood field for over 22 years and holds a Bachelor of Education in Early Childhood. To say Shelli is an asset to Kids Club is an understatement. Shelli’s passion for helping shape a child’s future is inspiring and is matched only by her knowledge in the field of early childhood development. 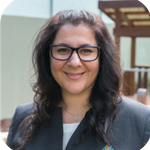 Shelli works closely with the Kids Club Centre Directors to ensure the best practice and education is being delivered to exceed the National Quality Standards. 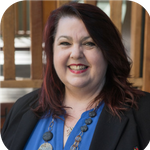 Suzi is passionate about being able to support, lead, guide and inspire our Centre Directors in their encompassing role. She visits the centres to spend time with the Directors and educators as well as in the learning environments with the children to keep improving our processes and learning experiences. 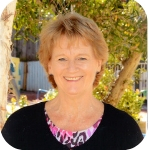 Suzi has 25 years of experience in education and long day care. She recently managed the Educational Leadership and Excellence Team for ACECQA. She also worked as a consultant and trainer for educators and centre managers with implementing the 2018 National Quality Standard. Lauren has a Bachelor of Education in Early Childhood and Primary Teaching and a Master’s in Educational Leadership. Her experience includes being a Preschool teacher, Nursery Room Leader, Educational Leader and Director. Lauren then made the move into the VET sector where she did a mixture of customised training and qualification teaching in Early Childhood Education. 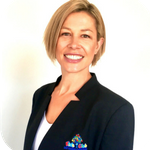 After 2 years of teaching she is coming back into centres to work across Kids Club’s 3 centres in the ACT where she helps the teams meet our “Six-Star service”. Jasmine has been in business development within the residential and commercial property sectors for over ten years. For the last years Jasmine has worked solely in the childcare space from a property perspective, sourcing potential sites and negotiating contracts to reflect the intricate and unique requirements for childcare, whilst following current LEP and government legislation. Jasmine has direct experience in the full process of establishing a childcare centre from sourcing the property, site due diligence, agreeing terms, working with consultants and project management of the development application, communication with Councils, compliance, site visits, troubleshooting potential issues through to development application approval. 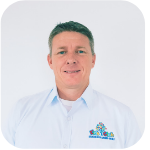 Justin is responsible for overseeing the development of our new early learning centres and the maintenance of our existing centres. He is an experienced Construction Manager and a licensed Builder. Justin previously managed and completed upgrades of property and facilities across Queensland child care centres. Farshid has over 13 years of sales and customer management experience, looking after some major international brands. He has a passion for providing a professional, comprehensive service to all families, helping them with permanent solutions. His extensive experience in childcare and handling child at risk cases is a great addition to our team. April has worked in a variety of accounts roles prior to joining the Kids Club Management Team. 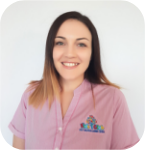 She has exceptional attention to detail skills and has worked closely with the Kids Club Operations Manager to gain a high-level understanding of the Childcare Sector. With this understanding and knowledge, April works closely with the CEO ensuring the accounts are up to date and Kids Club are meeting their statutory obligations. Valerie has a Master in Corporate Communications and 20 years’ experience in the development and implementation of customer-oriented marketing strategies. Valerie understands the gap and needs in the market for high quality and premium branding childcare. 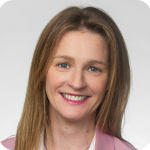 She implements marketing strategies to ensure each Centre is presented at its very best, representing the highest of quality and a premium facility for early childhood development. She loves to provide the families and our children with the most enjoyable experiences.